This selection of reviews gives an up-to-date picture of memory research. Great progress has been made in identifying the memory trace at the molecular and cellular level and individual reviews address the major mechanisms by which changes in synaptic strength can persist. Exciting research at the systems level is also reviewed including the growing importance of changes in inhibitory interneurons and how they play a role in memory formation. 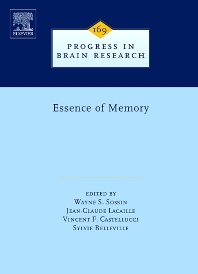 Finally, reviews present cognitive and neurobiological models of human memory that explain, characterize and organize the act of memory within a coherent framework. Neuroscientists, psychologists, psychiatrists and basic and clinical researches in medical fields interested in memory research.